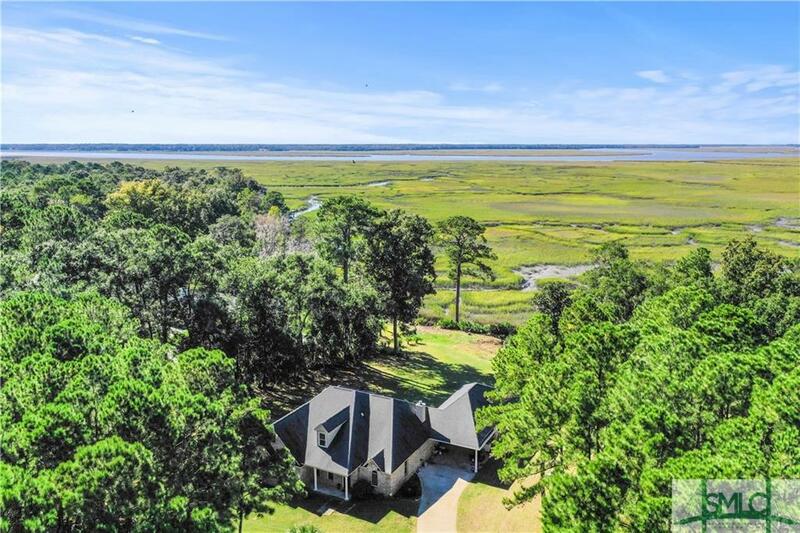 Welcome home to the most amazing waterfront views in Coastal Georgia! Enjoy panoramic views from your gorgeous back porch in this lovely brick home situated on over 3 acres in Richmond Hill. Custom built home features a lovely formal dining room, large great room, and open concept gourmet kitchen, all with the most stunning views. Master suite with large master bath and closet, two guest bedrooms with two additional guest full baths, and unfinished bonus room plumbed for another full bath. Home comes complete with a detached mother-in-law suite with bathroom and kitchen. Only seconds from Demeries Creek Boat ramp! Must see the sunsets to believe!